Does professional soccer have a future in Tulsa? The Tulsa Forum by TulsaNow > Non-Tulsa Discussions > Sports Talk (Moderator: Admin) > Does professional soccer have a future in Tulsa? Re: Does professional soccer have a future in Tulsa? Clearing & cleaning up this clinking, clanking, clattering collection of collagenous junk; then some real development can begin. TIF (Tax Increment Financing): Council approves plan for as many as six districts near downtown OKC. So the road to the north of the old Coop, that's the old alignment for I-40 isn't it? Interesting how they managed to pull that out and improve derelict properties just south of the downtown area. How much did the re-alignment of I-40 end up costing? 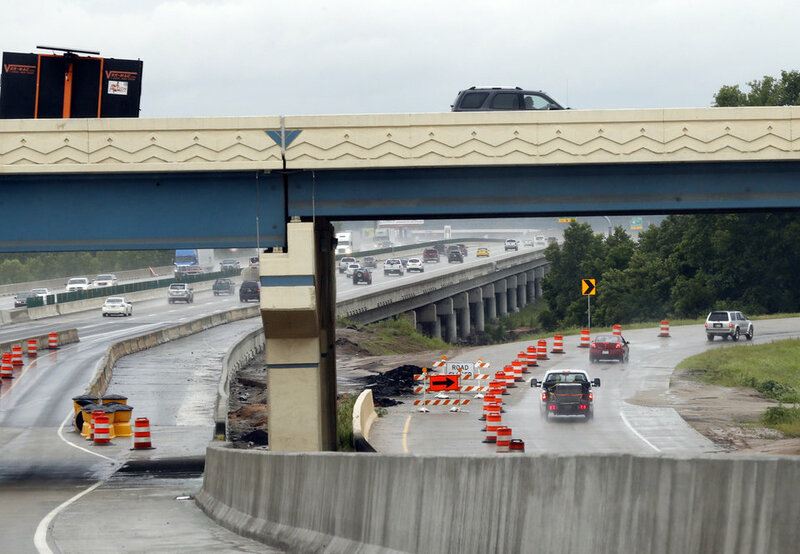 I-35 Norman Lindsey Street Bridge nears completion. New Norman interchange crossing the South Canadian River. Unfortunately, this new route has created a redo of I-235/I44 Broadway Extension; OKC core construction is sandwiched between construction projects that involved Norman & Edmond. 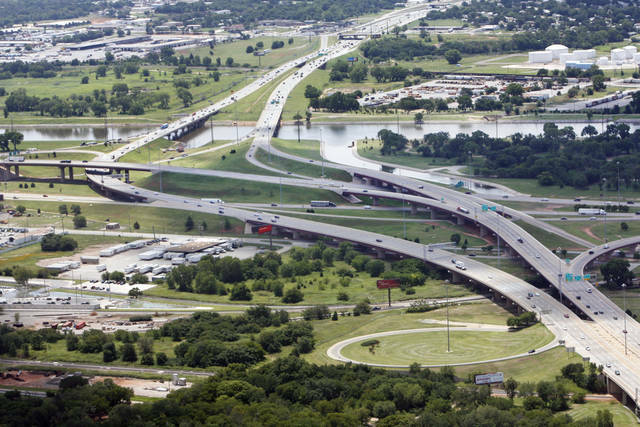 OKC's long-neglected interstate highways and bridges are scheduled to get some much needed maintenance and traffic capacity upgrades. That's the good news. 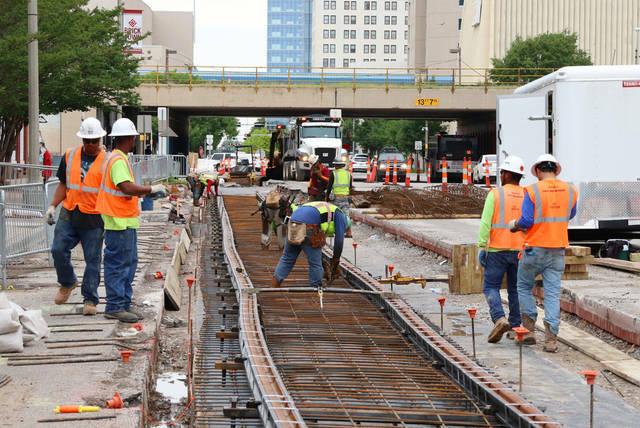 Bad news: It is very difficult to navigate throughout the Oklahoma City metropolitan area & downtown core where the 6.8 mile streetcar route rails are under construction soon to finish near the new convention center & 600-room Omni Hotel site. Oklahoma has two USL franchises (Roughnecks FC & Energy FC); USL wants all of its franchises in soccer specific stadium by 2020. USL announced in May 2015 a multi-year partnership with the global design, architecture, engineering and planning firm HOK with an eye toward housing all 24 of their clubs in soccer-specific stadiums by the end of the decade. Has anyone seen any plans for soccer specific stadium in Tulsa or OKC? Will the USL allow soccer clubs to retrofit or modify baseball stadiums to accommodate soccer franchises? I think OneOk could work full time if they used the same technology as others to remove the pitching mound for soccer, which is why I mentioned it in an earlier post. It would improve the sight lines immensely. The third base seats would essentially be parallel to the sideline seats. I think they might also be able to widen the pitch a little. The technology is worth the cost. Here are examples of others that are using it, including MLS at Yankee Stadium. The Roughnecks have done well thus far, but a soccer specific stadium just doesn't seem to be in our future. Attendance average of 4,500 is good, but will be a difficult sell for a $30-$40 million investment. I would support it, but can see legitimate pushback. Nevertheless, I don't see any reason a baseball stadium with better sight lines isn't sufficient for minor league soccer. Even the current setup is fine, though not ideal. I've been to a couple of games with my kids. Sitting in the lawn was nice, but it would probably have been better with real seats. At least until they get the attendance up, it seems that the lower cost, under-utilized stadium option would be the most advantageous to everyone. And after all that, they still do nothing to fix the I-35 to I-40 crossover mess. One lane exiting 40 onto 35. One lane exiting 35 onto 40. Shameful. Drove it yesterday and today - always a mess. I dunno man, imagine Okrahoma drivers in two lanes going either direction with their cell phones out, putting on make up and screaming at their kids in the back seat. Got to admit, it is very difficult to get in, out & around OKC. New I-44/I-235 interchange under construction. That's a different place, couple miles north, I think. Nothing changing at the "Dallas Junction"...right where the "new" First Nations Museum was supposed to go about $100 million ago... it's just another Oklahoma cluster. I "live" a mile and a half south of there usually at least a couple days a week. You have some good things going in terms of sports facilities & new park you have built; a soccer specific stadium would be the next best venue. World Class Gathering Place Park; should complement the existing River Parks along the Arkansas River. We've seen much progress between Oklahoma's two largest metropolitan areas within the past 20 years; there's more to come. Best answer ever. I almost wish someone here had proposed something similar. That should honestly make going to the games even better. Nice, and only a few weeks after I suggested it in this thread! It will help the sight lines tremendously! Not as ideal as a soccer specific stadium, but a massive improvement! I still don't think it will fit an american football field, so a soccer specific stadium could still be pitched as a venue for a high school "game of the week" to make sure it gets a lot of use. Maybe someone in their organization watches this place. I'd be a fan of a stadium similar to what FC Dallas, and The Columbus Crew have in the parking lot black hole downtown. Those stadiums have a stage element behind one of the goals, adding another use for concerts and whatnot. I was thinking (Though I know this would be super far-fetched) it would be cool to have a sort of "Outdoor Chili Bowl" happen every year. Hell, you could even get away with having some rodeo action going on there, given Tulsa's relationship with the PBR. Tons of opportunities that Tulsans will overlook because they see an empty soccer stadium half of the year unfortunately. 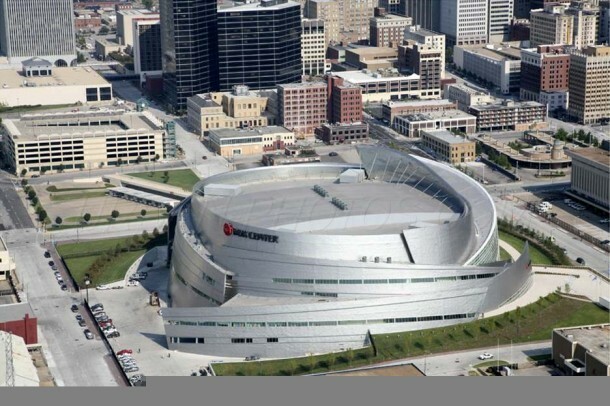 I'd love to see this as a mixed use opportunity, and to have something architecturally significant (to compliment the BOK). 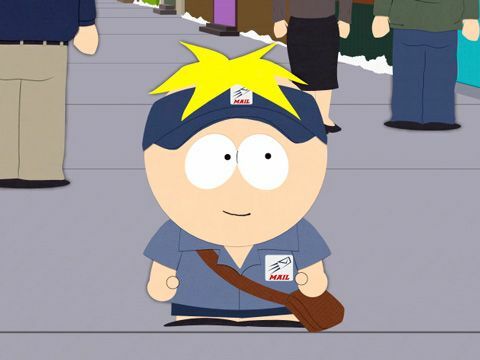 I was also thinking that the stadium would include a building fronting a street that includes retail and restaurant space open year around (think how Greenwood businesses were sort of incorporated into the ballpark) and the field could be open to the public when not in use for a formal event. But yeah, should have a staging area and a commitment to find ways to use it for things other than soccer games to keep it active year around.